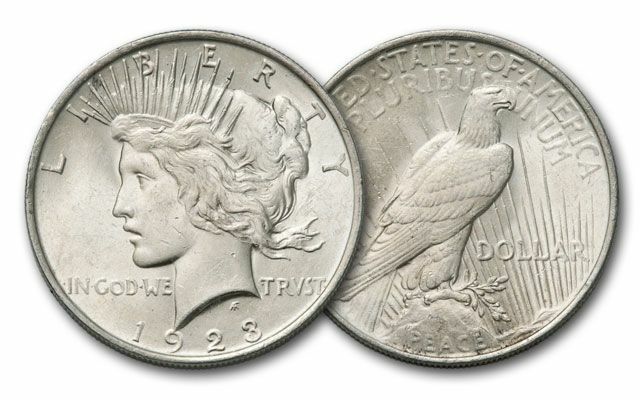 The Peace Silver Dollar made its debut in late 1921, and was struck up to 1935. It was created by a brutal act of destruction. Hundreds of millions of Morgan Silver Dollars were melted in 1918 under the Pittman Act. It was for a good cause - the silver helped the British win World War I. And, the Pittman Act instructed the mint to strike new Silver Dollars to make up for those that were melted. 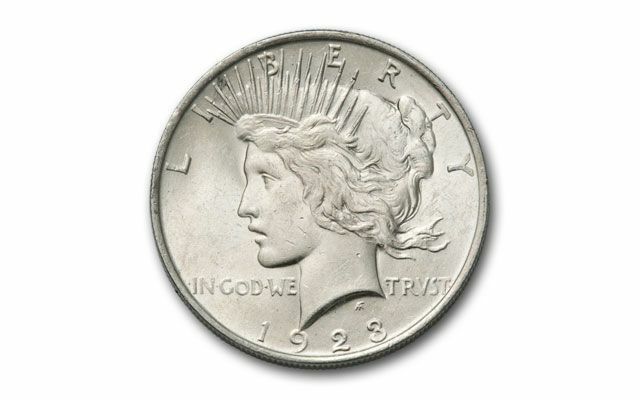 The Peace Silver Dollar made its debut in late 1921, and was struck up to 1935. 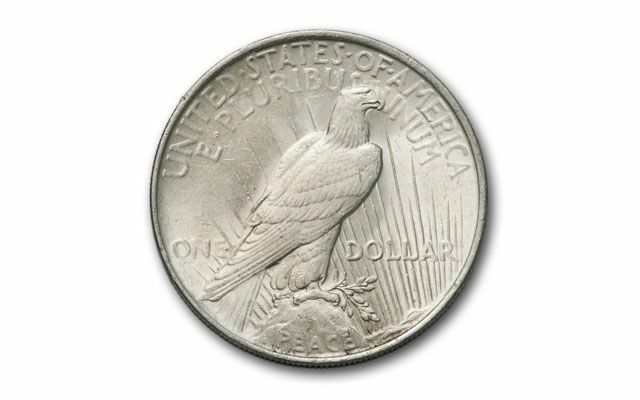 The first coins were in High Relief, and the regular strikes began in 1922. Today, most of the surviving Peace Silver Dollars are low quality, and those in high quality Brilliant Uncirculated (BU) condition are always in high demand. Add them to your collection today. Dates vary between 1922 and 1935. Each contains 1 coin within this date range.